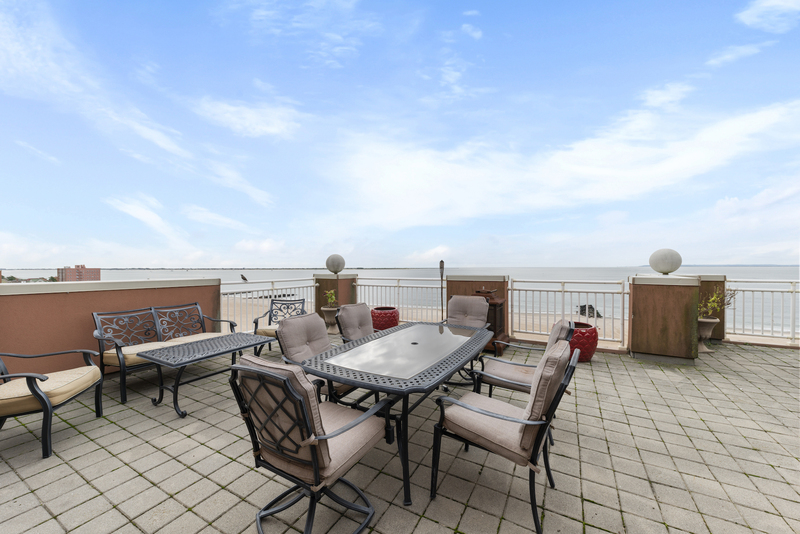 Some real estate watchers believe that 2019 could well be a pivotal year for the Brighton Beach area of Brooklyn. A spate of new developments may bring renewed interest in the area. The Brighton Beach luxury revival really began in 2008 with the creation of the Oceana development. Today’s home is in that building. Reached by a 30-minute express train ride to Manhattan and located near both JFK and LaGuardia airports, Oceana has a swim club, private beach access, landscaped grounds, a health club and a 6,500-square-foot event space and spa. Oceana is bounded by the boardwalk and the Atlantic Ocean, Brighton Beach Avenue and the Manhattan Beach community. This unit has a spacious foyer leading to a grand living room, dining room with fireplace and open chefs kitchen greets you. 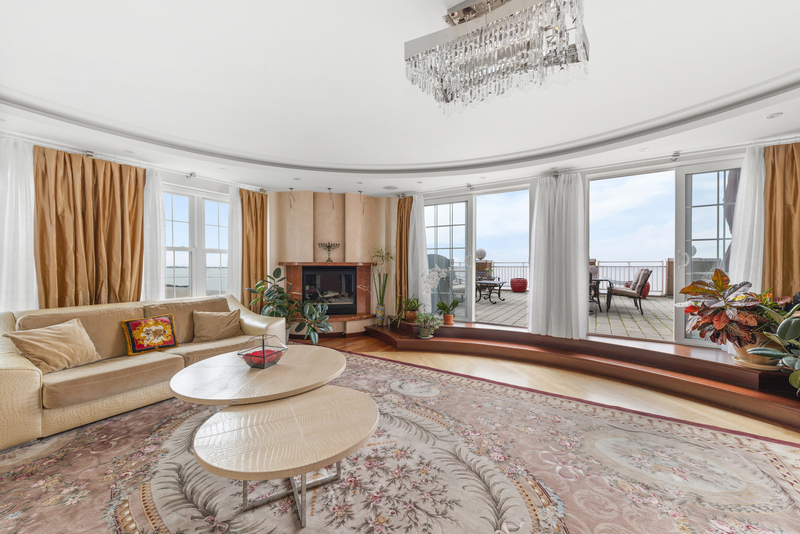 The living room has a private ocean-facing terrace and large windows fill the room with light. The kitchen has granite countertops, equipped with Wolf stove and cooktop as well as a Sub-Zero refrigerator. The home has a master bedroom with ocean views on this floor and the lower level features two additional large bedrooms, two additional bathrooms, and oversized walk-in custom closets. 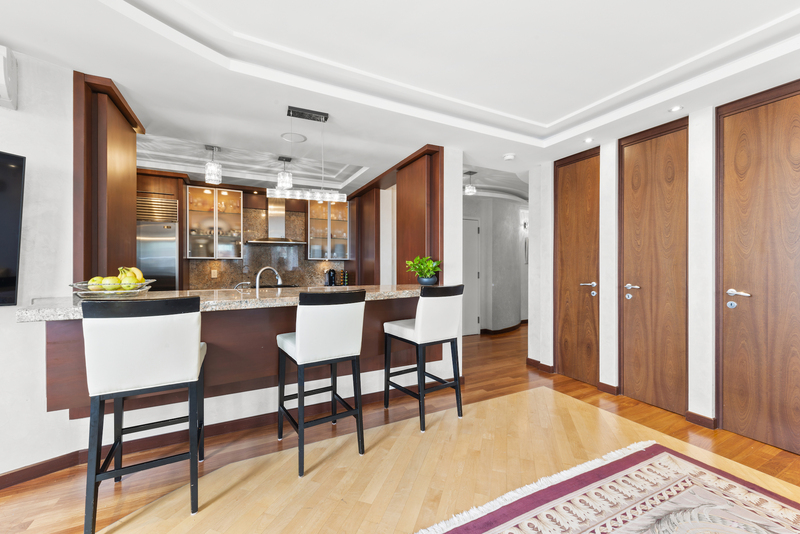 As with the rest of the home, no expense was spared renovating these rooms, the rooms feature wood doors and flooring, Carrera marble, top of the line fixtures, and more. 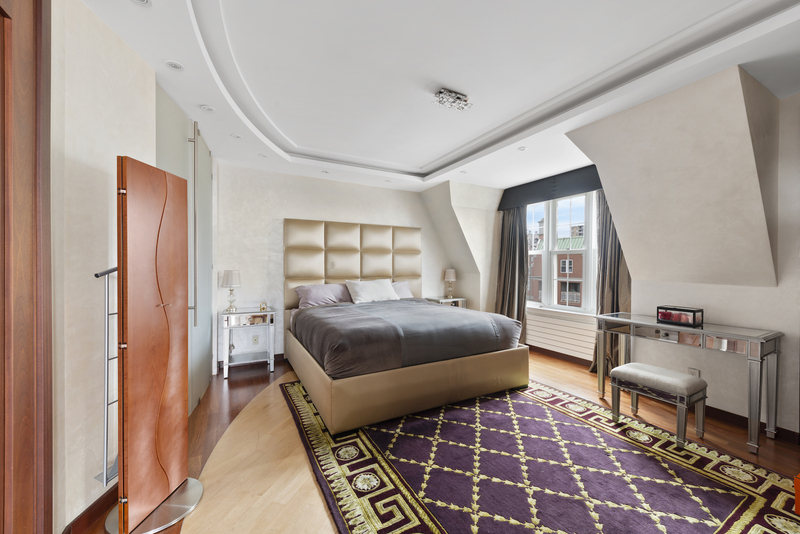 An additional fourth bedroom is located on the upper floor. Conveniently located in the apartment is your personal laundry room as well as a multi-zoned centralized heating and cooling system, multi-unit cameras, surround sound and Lutron system. 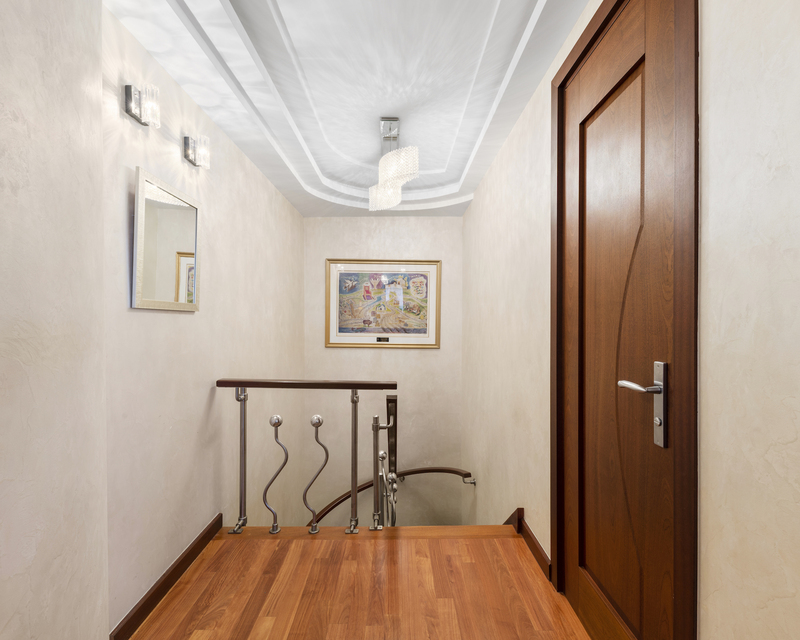 Additionally, plenty of storage space can be found throughout the home. 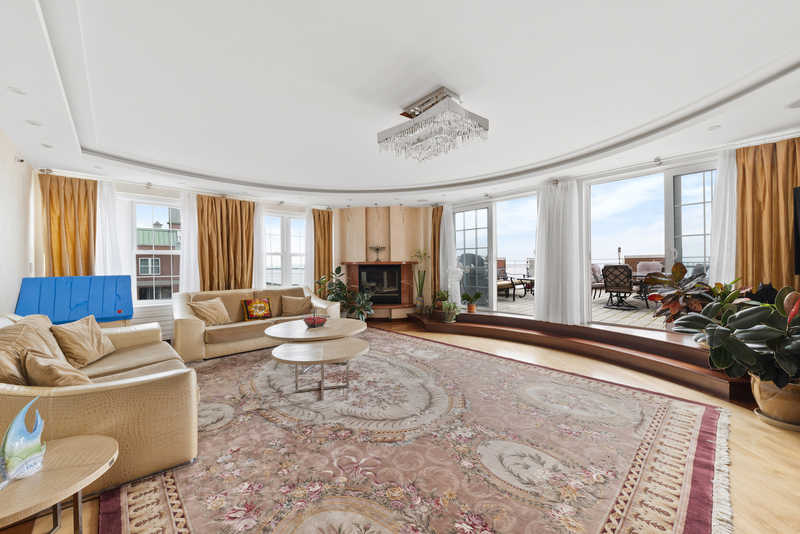 This unit is listed for $2.895 million with Alexander Boriskin and Michael Lorber of Douglas Elliman.